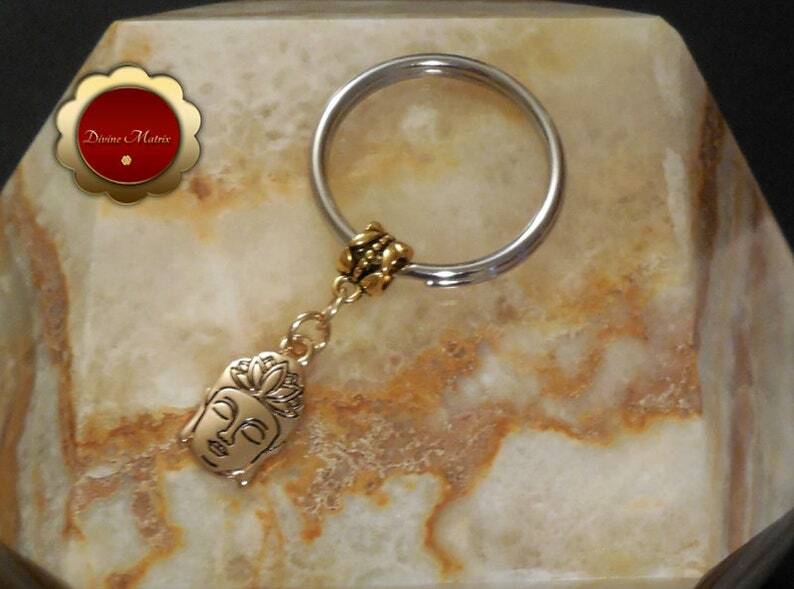 This is an antique gold Buddha charm keychain that comes in gold metal. The term Buddha literally means enlightened one, a knower. This keychain would make a nice gift for someone special. The key ring is a nice 32mm in size. Zinc alloy and iron. Nickel and lead free. Metal. Charm 0.94" x 0.50" x 0.06"